The wage gap between men and women earned a mention in President Obama's State of the Union speech this week. And it will get some attention this morning in St. Paul. 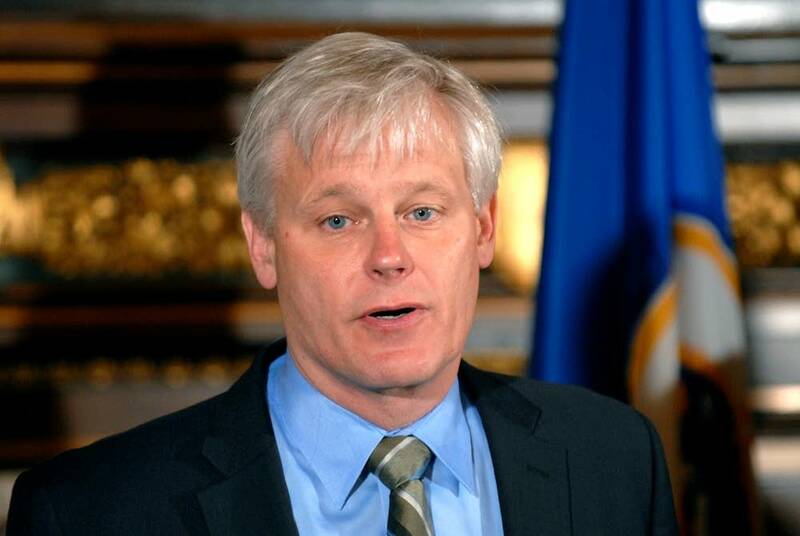 At the Women's Economic Security Summit, Minnesota House Speaker Paul Thissen is expected to outline a package of 17 bills aimed at reducing the wage gap between women and men. University of Minnesota researchers released a report today showing Minnesota women, on average, still earn significantly less than men. Every two years the University of Minnesota's Humphrey School of Public Affairs and the Women's Foundation of Minnesota report on the status of women and girls. They found the pay gap remains stuck at 20 percent. For every dollar a Minnesota man earned in 2012, his female counterpart earned just 80 cents. Part of the reason for the income gap is that women tend to gravitate to lower-paying career fields, such as education and health, while many men choose engineering and computer sciences, said Debra Fitzpatrick, who heads the U's Center on Women and Public Policy. Women make up a majority of people who live below the poverty line and remain clustered in some of the state's lowest-paying jobs, Fitzpatrick said. Low-wage jobs seldom allow flexibility for women who are both breadwinners and the primary caregivers for children, she added. Thissen, a Minneapolis DFLer, said he plans to introduce legislation that would require small businesses not covered by the federal Family and Medical Leave Act to boost family leave time off from six weeks to 12 weeks "to match the federal standard for those businesses." He said also wants to increase state child care aid and raise the minimum wage, something Democrats tried but failed to do at the Capitol last year. The economic gap between men and women in Minnesota remains a stubborn problem but lawmakers should tread lightly so they don't make it worse, said House Deputy Minority Leader Jenifer Loon, R-Eden Prairie. Forcing employers to pay a higher minimum wage could make it harder for women at the bottom of the income ladder to hold onto their jobs, she added. One solution is to make sure girls and young women are exposed to a full range of career possibilities throughout their school years, said Loon, who has daughters in high school and college. That's part of the solution, but it will take a major public and private sector push to close the gender wage gap, the U's Fitzpatrick said. Matt Sepic is a newscaster and general assignment reporter for MPR News.